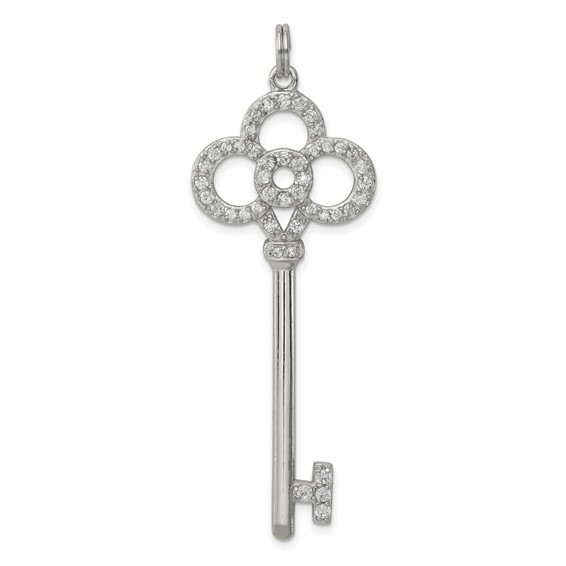 Polished, sterling silver key pendant features cubic zirconia accents. This item weighs approximately 3.74 grams. Dimensions: 3/4in x 2in. Chain not included.